After squeezing as much of Venice as we could out of a day and a half we were glad to get to Stresa. 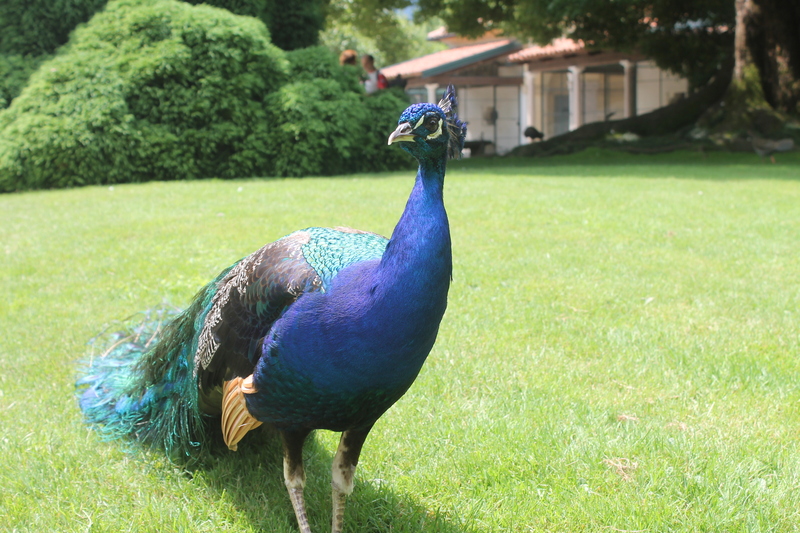 Stresa is a relaxing little town on the shore of Lake Maggiore in northern Italy. 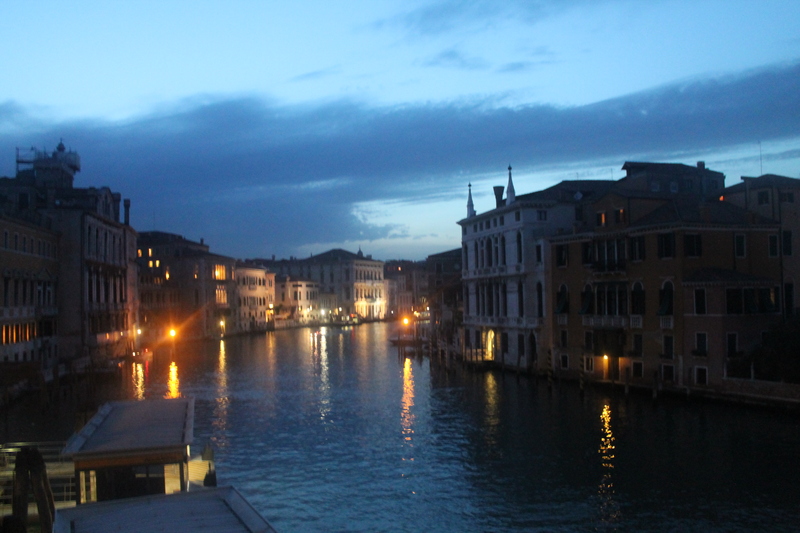 It was our last stop in Italy before heading into Switzerland for a week. Not a lot to do other than meander through the streets and visit a few nearby islands with magnificent gardens. So it was a good change of pace. Enough so that I started calling the town De-Stresa in my mind. De-stressing is always a good thing to do, don’t you think? I’ve been reading a book on our trip by John Ortberg called Soul Keeping. Here is a short excerpt that has got me pondering. “Not long after moving to Chicago, I called a wise friend to ask for some spiritual direction…. I told him about the present condition of my heart, as best I could discern it. What did I need to do, I asked him, to be spiritually healthy? 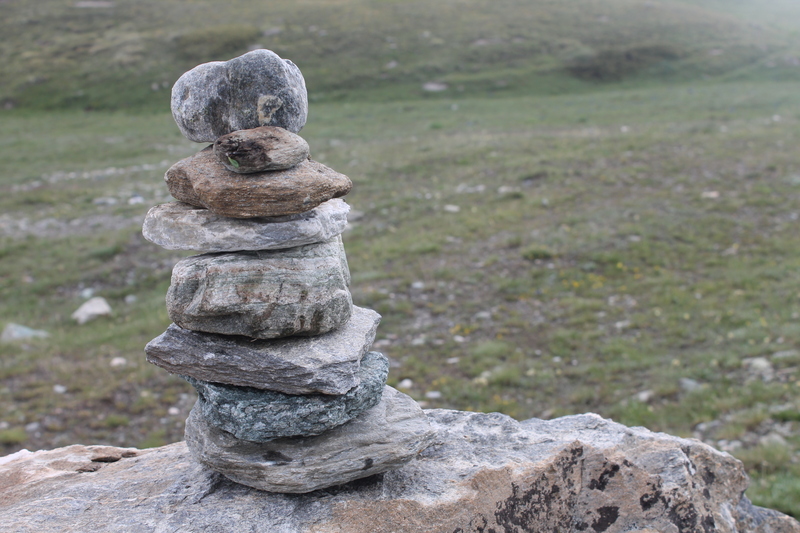 I have been trying over the last few years to practice this discipline – what Ortberg calls elsewhere the “discipline of slowing.” I really do believe that it is healthy for the soul. 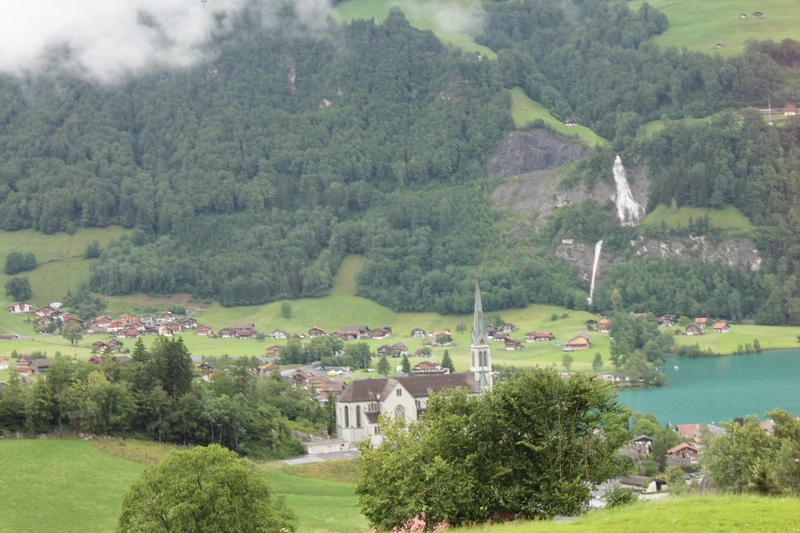 Here are a 10 practical things that I am finding help me “eliminate hurry” and to de-Stresa. Some of them I am better at than others. 1. Take twice as long to eat as I normally would – I used to be the first to finish, now I am usually the last. 2. Intentionally walk with an unhurried pace. 3. Drive the speed limit – I find this hard to do, especially when I am in a hurry. 4. Take some time to sit and do nothing during the day – and that includes turning the TV on. 5. Enter God’s presence and be still – I generally feel like I need to fill my time with God up with words. 6. Leave early enough to get places on time without rushing. 7. Eliminate the unnecessary – in the brief time I have left on this earth I am going to need to focus my energies on things that matter. 8. Look for a thing of beauty in God’s creation each day. 9. Take time to listen to people when they talk – instead of thinking ahead to what I will say next. 10. Ponder – God’s Word, good quotes, conversations, questions asked, eternity, life, love, and liberty. I especially like #10. But I think most of you reading this already know that. Venice has been referred to as a “puddle of elegant decay.” It was born in a lagoon over 1500 years ago as a refuge from barbarians. Over 100 islands are laced together by 400 bridges and 2000 alleys. And it is a gorgeous old city – a city that survives because tourists flock to it by the thousands. It’s original claim to fame is the fact that the bones of St. Mark – author of the 2nd gospel – were reputedly smuggled into the city in A.D. 828. They are now housed in the huge cathedral called appropriately St. Mark’s Cathedral. But my lesson learned has nothing to do with any of this. My lesson can be summed up like this: Never underestimate the value of a great friend. When I was 10 years old I met Wallace McNair. We played on the same little league baseball team. We went to high school together. We had the same network of friends. We went to the same church and were involved in youth group together. We were discipled by the same guy. He went to Clemson for college while I went to Tulane University in New Orleans – but we hung out together during the summers. When we graduated college we traveled around Europe together for a month with backpacks. A year later he was in my wedding. A few years after that I was in his wedding. He settled in Greenville, SC. I settled in Durham, NC. We stayed connected and got together when we could. The years passed and we both had 3 kids, one wife, and golden retrievers. We supported each other and each other’s kids on mission trips. He came to my daughters wedding and I went to his daughters wedding. 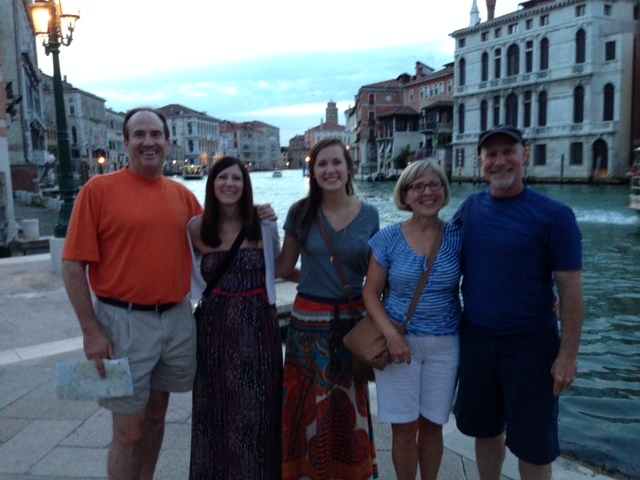 And this week, 34 years after we traveled together around Europe, we met up in Venice Italy with our wives (and his youngest daughter). We had a great time walking the city, seeing the sights, eating at good restaurants, and remembering stories from our past. 1) Shared memories – It takes time for a friend to become a great friend. And it takes involvement in experiences together. When I think about the small number of people I would consider a great friend, this is especially true. Wallace and I have a bank of shared memories that bond the friendship. 2) Similar core values – If friends do not believe the same things about life they will never become great friends. It is just impossible. Wallace and I both have a strong faith in God that dictates how we live and raise our families and do our jobs. Without our faith in God we might be friends but not great friends. 3) A commitment to the relationship – Even with the first two in place it takes commitment to maintain a great friendship – especially when separated by many miles. Wallace and I been intentional about staying in touch even when there were long periods when we did not see each other. And because of this, when we do get together, it is easy to pick up where left off. Proverbs 18:24 says, “…there is a friend who sticks closer than a brother.” For me, one of these friends is Wallace. 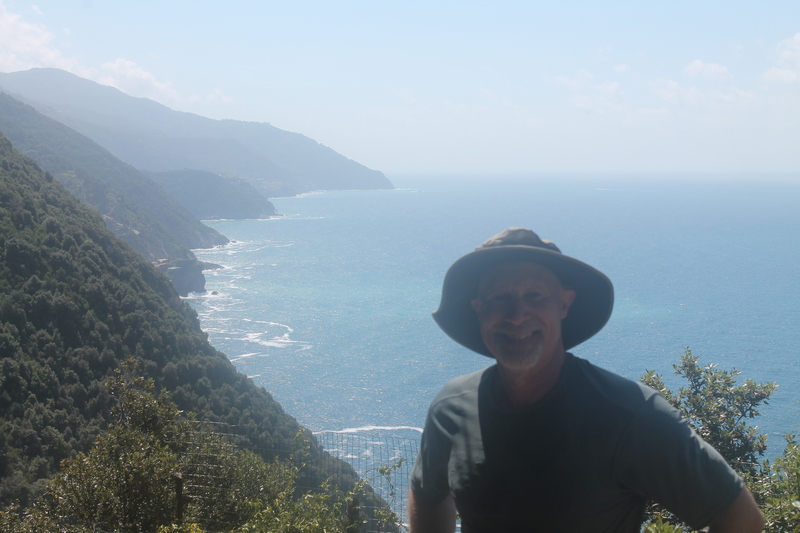 It is hard to describe how magnificent The Cinque Terre is. The Cinque Terre is a series of 5 towns between Pisa and Genoa on the Italian Riviera. Riomaggiore, Manarola, Corniglia, Vernazza, and Monterossa. 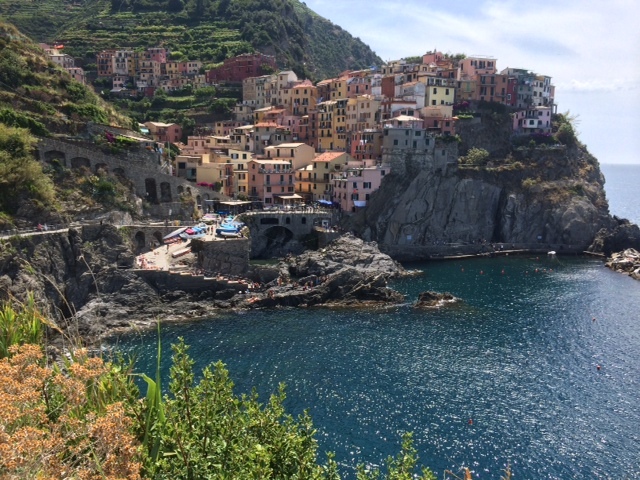 We stayed in town #2 – Manarola. But we visited each of the other towns. They each have their own character and draw. Our town has been described as being “exceptional for being unexceptional.” It has just the right combination of all the Cinque Terra qualities. There are two ways to go from town to town. Take the train or hike. 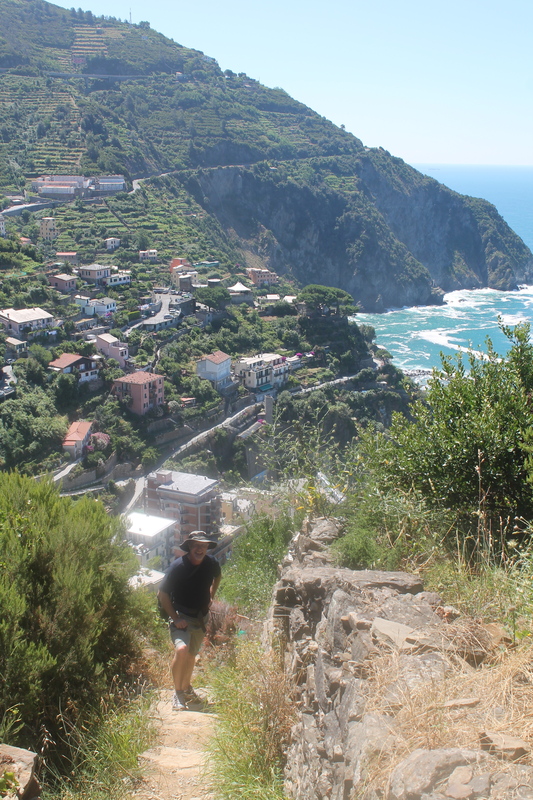 We hiked from Riomaggiore to Manarola and from Vernazza to Monterossa. In my post on Rome I briefly talked about the Christian life as a walk. I want to elaborate on that a bit as one of the great memories we will take away from our time here is the hiking we did. The first hike was brutally hard. We hiked up rocky steps for an hour – straight up I kid you not. Then straight down for another 30 minutes. There were times when I thought I might die. There were times when I thought I could not take another step. There were times when I questioned why I was even on the hike. There were times when the pain made me question whether it was worth it or not. But there were also times when the scenic views were spectacular. 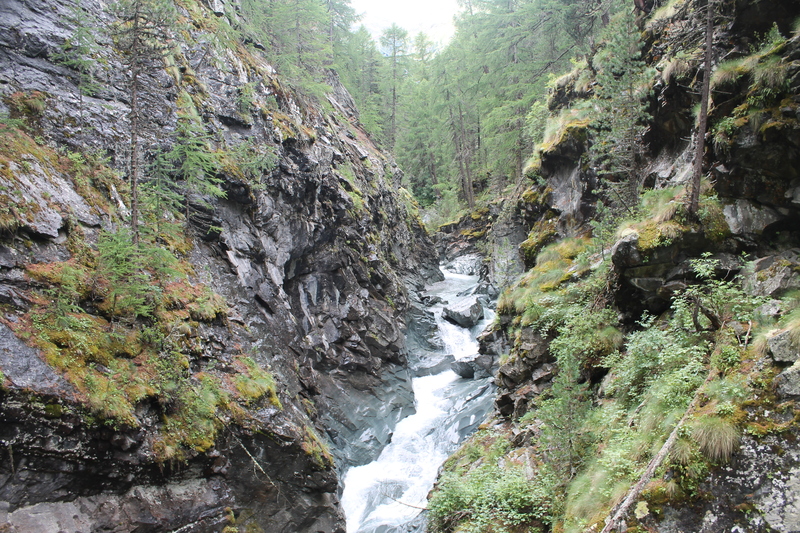 Times when I felt exhilarated because I was even able to do the hike. 1. We needed help finding the right path. We could not even find the way to get started. There were people who realized how lost we were and gave us guidance. Spiritually, I am grateful for the people that invested in me early in my life who helped me find the Way. I need to be doing the same for others now. 3. We needed the hope that the hard part would soon end – that just around the corner the path would flatten out and get easier. I’m convinced this is why God does not show us what our life will look like ahead of time. People cannot live without hope. It is what fuels us to keep on going even when life is really hard. And I will cross the finish line and know the race is won. We decided to do something wild and crazy. We rented a car in Florence and spent two days driving around Tuscany. We wanted to see some of the little towns not so accessible by bus or train. 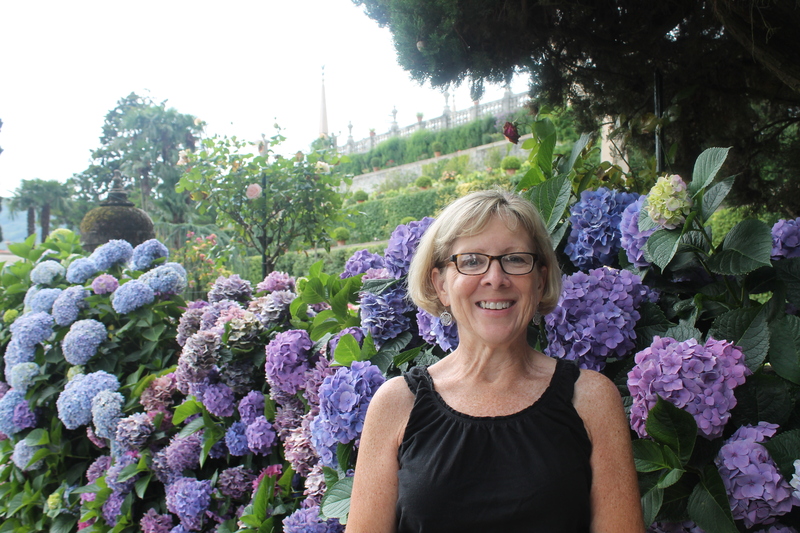 The adventure took on epic proportions for Linda. Because my license had been stolen in Rome we had to rent the car in her name and she had to drive. We did do the smart thing and rent a GPS. She was the pilot, I was the co-pilot, but we were both taking our cues from Mr. Garmin. Now Mr Garmin is a smart fellow and knew exactly how to get us from point A to point B. The problem was that we were not so good at following his directions and got confused at times – which caused us to get off course, frustrated, angry, and emotionally distraught. At times we felt like we were traveling in circles and wondered if we would ever get where we wanted to go. A parallel can be made to the Christian life. God has given us His Word to teach us, to direct us, and to equip us for the journey. He knows how best to get us from point A to point B. If we listen carefully, pay attention, and follow His instructions explicitly then we will avoid a lot frustration, anger, and heartache. 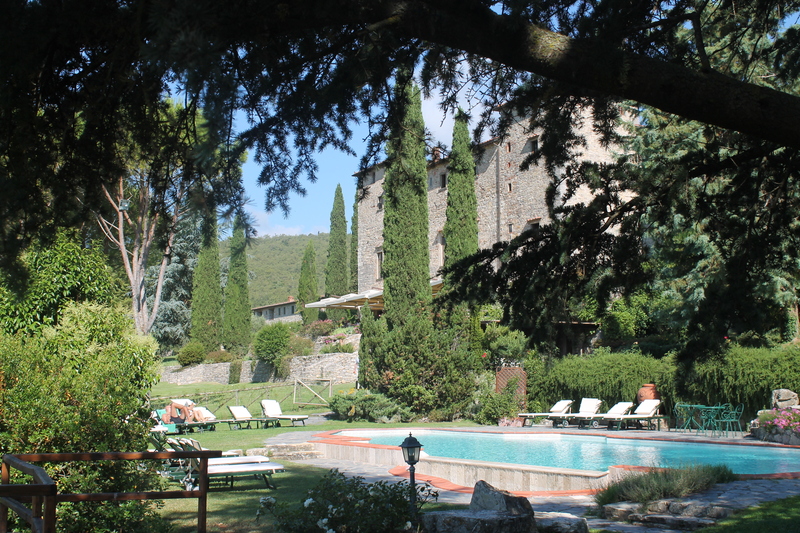 When we got to our final destination in Tuscany there was much rejoicing. It was gorgeous; it fulfilled our hopes and dreams; it provided rest for our weariness and gladness for our hearts. This is the experience of believers who trust in God, seek Him, and listen to His Word. Our final destination is going to be awesome. – We would have been utterly lost without the help of the GPS. As strangers in a strange land we depended on ” the voice” to get us where we needed to be. Without it we would probably somewhere in Germany right now. – “The voice” did not always take us on the quickest route. Sometimes it was the scenic route. Sometimes it was a route designed to avoid trouble. – We didn’t always like the route that “the voice” took us on but it did always get us where we needed to be. I think you can make the obvious parallels to these thoughts. 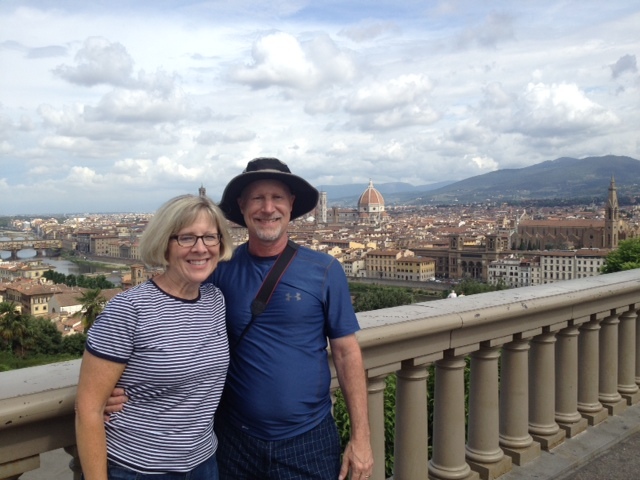 We enjoyed a fun, full two days in Tuscany as we got spent time in Gaiole in Chianti, Siena, San Gimignano, Lucca, and Pisa. More adventures on the horizon. Florence was the epicenter of Renaissance Italy and Michaelangelo was the dominant figure of the Renaissance. Born in 1475, Michaelangelo is considered one of the greatest artists in all of history. 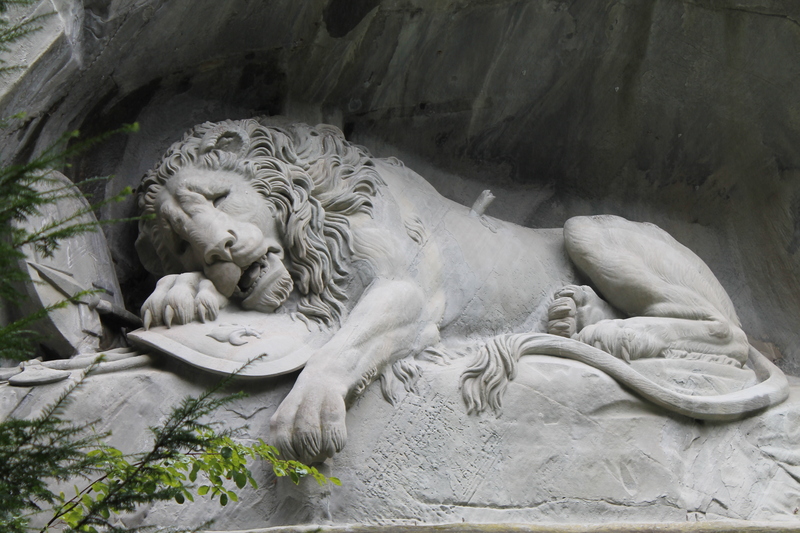 He was a prolific painter, poet, and architect but his real passion was sculpting. When we were in Rome we saw 2 of his major works: Moses and The Pieta. 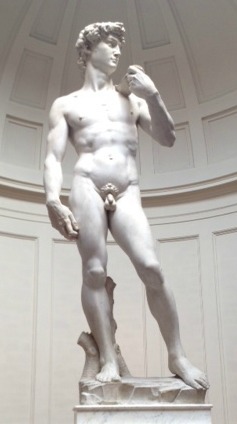 Here in Florence we stood in line over an hour to enter the Accademia and see his most amazing work – David. It took over two years for Michaelangelo to complete this 17 foot tall work of art, finishing it when he was about 28 years old. It is amazing to me to think that he started with a block of marble and kept chiseling away until he had this incredible masterpiece. Such detail. Such definition. Such imagination. And as great as the sculpture is I came away thinking how awesome the sculptor was. And then this verse came to mind: “For we are God’s workmanship, created in Christ Jesus to do good works, which God prepared in advance for us to do.” (Ephesians 2:10). God is in the process of chiseling away all the excess stuff in my life – working diligently day by day, perfecting little by little the masterpiece that He calls Shay. And He is doing the same in your life. Sometimes the chiseling is painful. No doubt it is a slow process. And often we can’t figure out what God is up to. But the end result, as we allow God to do His work, will be something beyond our imagination, crafted by God, that others will marvel at – but who will stand back and exclaim what an incredible artist The Lord our God is. May it be so in my life! Sorrento is a gorgeous little town that sits as the gateway to the Amalfi peninsula. It is a fun place to use as a hub to see some other places in the area. And we did just that. On one of our days we went to the ruins of Pompeii and the other day we went to the island of Capri. My main takeaway was from Pompeii. The city of Pompeii was an ancient Roman town near modern Naples. Pompeii, along with Herculaneum was mostly destroyed and buried under 13 to 20 feet of ash in the eruption of Mount Vesuvius in 79 AD. I confess that I get caught up in my own world much of the time. I do not tend to be a worrier, but neither do I seek His kingdom first. I am too busy building my own little kingdom. And yet I know that for my life to have eternal influence it needs to revolve around God and not around Shay. 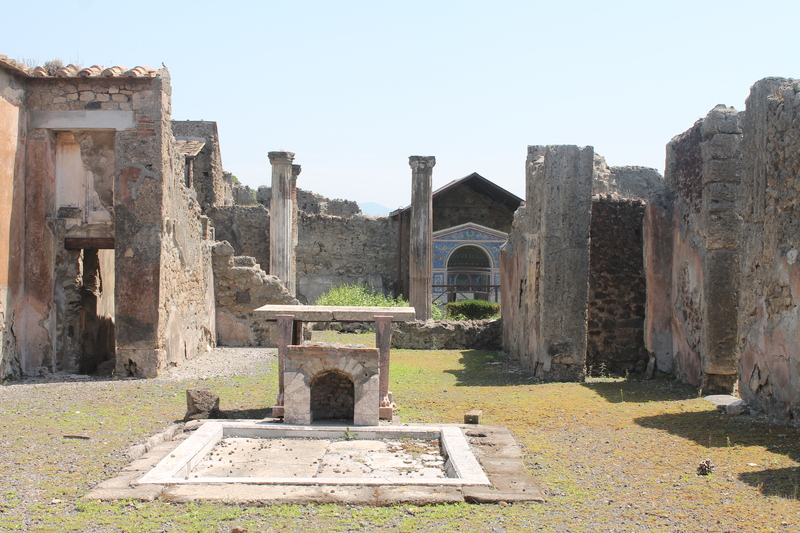 Perhaps the visit to Pompeii will remind me in the days to come that I need to be much more intentional about seeking God’s kingdom first. I pray that it will. As time permits and as we have internet availability, I hope to chronicle some things from our sabbatical that we are learning along the way. 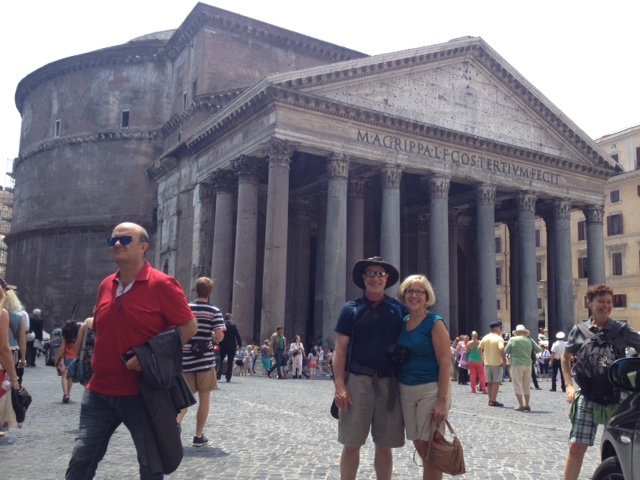 Our first stop was Rome. 1. The depravity of man – We landed early on Wednesday, got settled into our B&B and hit the town running. 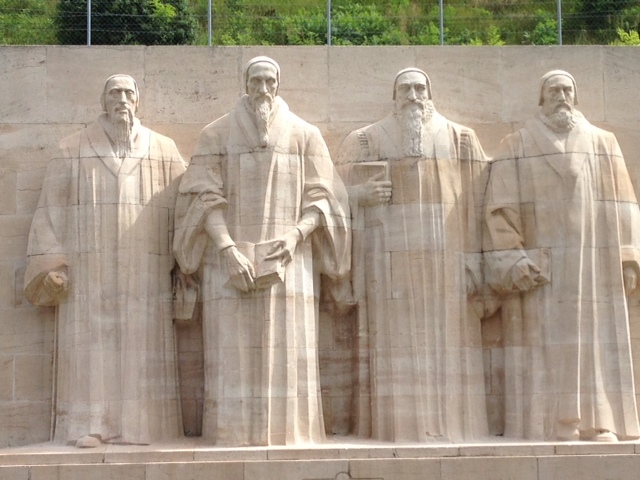 Our first stop – the San Sebastián Catacombs. The catacombs were a series of underground tunnels established by the early Christians both for refuge from persecution and for burial of their dead. There are miles and miles of tunnels. Linda and I took a metro train and then a bus to the site. Because we were still learning our way around we got off at the wrong place and then had to walk about a mile+ up the Appian Way… in the rain… to get there. I paid, we went in, saw the catacombs then boarded a bus to head back into town. It was not until later that realized I was missing my wallet. 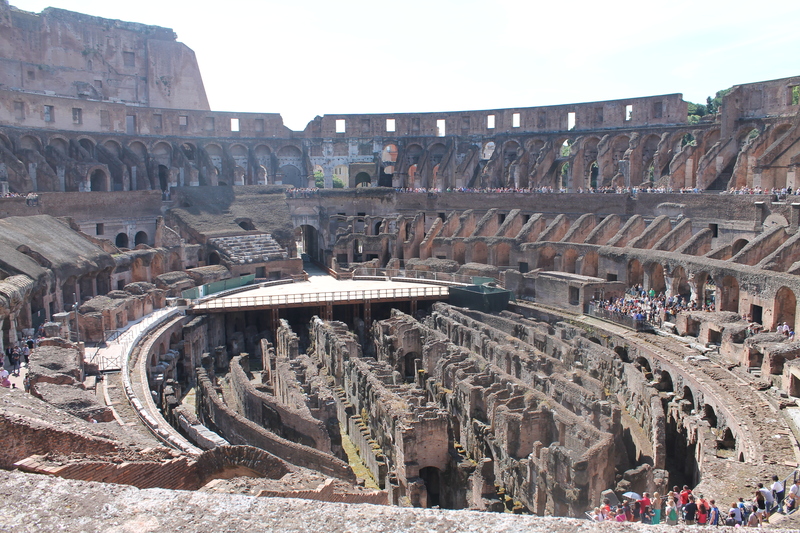 We had been told to be careful of pickpockets in Rome – evidently I was not careful enough. Gone on our first day was my wallet, drivers license, 2 credit cards and about $200 in cash. Not the way I wanted to start the trip. But it was a lesson I was reminded of. Man is depraved – morally corrupt and wicked and desperately in need of God. I should not be surprised by the theft. I should really be surprised that it has not happened more often because the basic nature of man apart from God is not goodness but wickedness. 2. 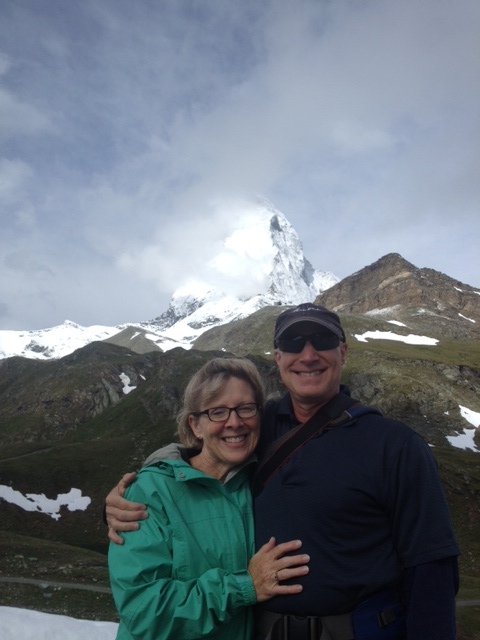 The value of good friends – One of the things we had been looking forward to about this trip was the opportunity to spend 3 days with our friends Tom and Sonya Holloway who are missionaries serving in Slovakia. They flew down to join us and we spent 3 very full days walking the city, talking, dining at various trattorias, seeing the sites and eating gelato. It was fun to reconnect with them, picking up where we left off the last time we saw them. Good friends are a great blessing from God. 3. The difference between religion and a relationship with God – On our first day with the H’s we spend much of the day down around the Coliseum. So much to see around there as it is the area where the city of Rome was originally settled and established. One of the places we visited was the building next to the Church of San Giovanni which houses the Scala Sancta – or the Holy Stairs. Tradition says that these were the stairs that Jesus walked up and down upon his visit with Pilate prior to the crucifixion. Supposedly, Helen, the mother of Emperor Constantine, had them moved from Jerusalem to Rome in the 4th century. Today pilgrims ascend these steps on their knees praying as they go, hoping that this will win them favor with God. 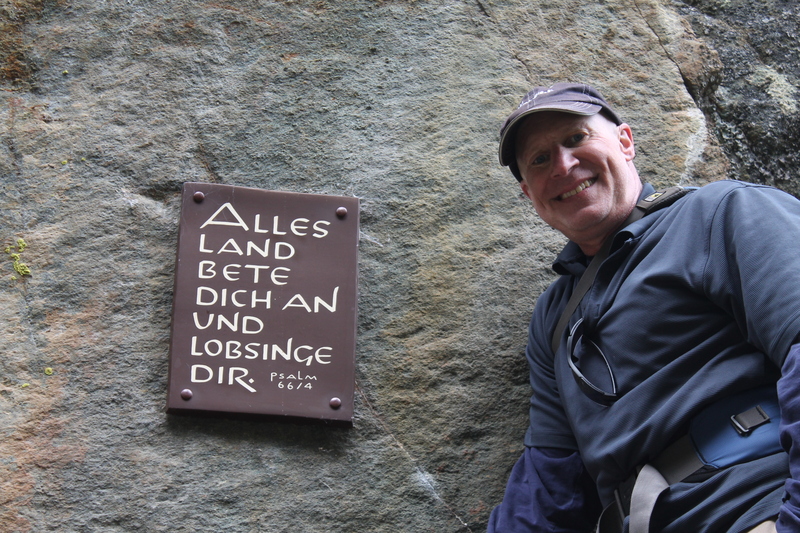 Martin Luther reputedly had an “AHA” moment as he made a pilgrimage here in 1511. As I watched hundreds of very sincere people work their way up the steps I was again reminded how grateful I am that I don’t have to do anything to curry favor with God. He sought me out, He rescued me, He gave me new life, He poured out His grace and mercy and forgiveness upon me. I was dead. He made me alive and initiated a relationship with me that is meant for my good and for His glory. I don’t have to do a bunch of religious stuff to have right standing with God. This is what He did for me through Christ. 4. 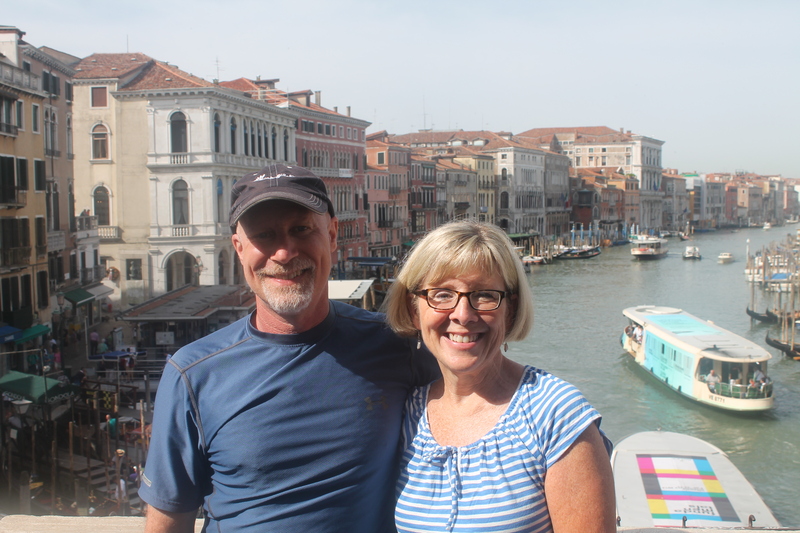 From time to time it is good to “contemplate our own mortality” – On our 2nd day with the H’s we did the Borghese Gallery, Spanish Steps, Trevi Fountain, Pantheon, Hadrian’s Tomb, and The Jewish Ghetto among other things. The Spanish Steps have been a popular hangout for romantics over the years. The British poet John Keats ” pondered his mortality” here and then died of tuberculosis at the age of 25. So I took a cue from him and did some pondering as well, which I am famous for anyway. In some respects I believe I am living on borrowed time…but then aren’t we all. God has graciously given us Today. It behooves me to make the most of it as THE day draws near. Having recently celebrated yet another birthday (#56) I am keenly aware that life is fleeting. May God grant me wisdom to live the rest of my days with joyful intentionality as I look forward to the future. 5. 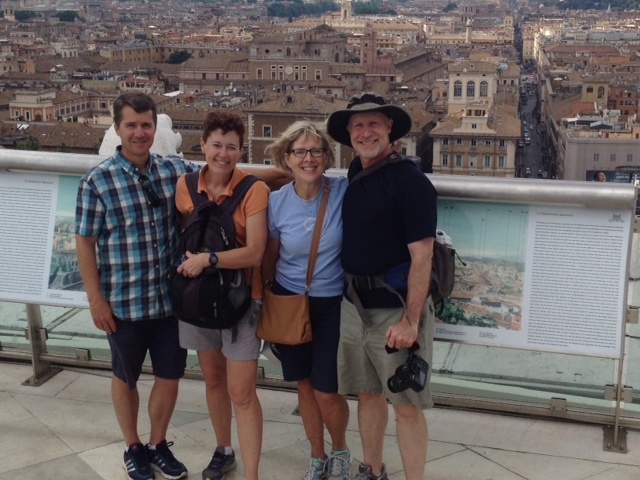 The Christian walk is a great adventure that is joyfully exhausting – We only had 3 days in Rome (which was plenty) but spent most of those 3 days walking… and walking… and walking. I had just gotten a Fitbit for my birthday – a social networking gizmo that measures how many steps you take in a day – so I was somewhat motivated to walk. But maybe not quite as much as we did. I was exhausted at the end of each day. But glad we had seen so much and experienced so much. The Christian life is described as a walk. It is for movers, not sitters. And joy in the journey comes from a daily, steady, deliberate, intentional walk. Those who sit around and do nothing would have a hard time finding joy in the journey – because the journey would be non existent. These are my ponderings from Rome.